The Norwex Silicone Lids are a fun and unique product I was really excited to try. The prospect of not having to use saran wrap or press n’ seal was not only economical, but meant less plastic in the garbage. The idea behind these lids is that they create a seal between the edge of your bowl and the lid itself, completely covering the food contents in your fridge, just like saran wrap, aluminum foil or press n’ seal. These now come in a huge array of sizes, which is handy. I tried out my lids for a few weeks in the kitchen. 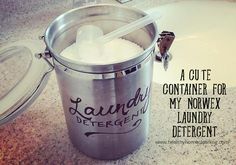 What stood out to me, as well as my husband, was that if anything else in the fridge touched the lid, it would break the seal, moving the lid over, thereby leaving the contents uncovered, either by a little, or a lot. This was a deal breaker for us, as we shove as much stuff in our fridge as we can and stuff is gonna knock into each other in there! The lids would move particularly on small bowls, as the ‘small’ sized silicone lids was never really ‘small’ enough. This happened so frequently that we stopped using them altogether. I decided to let a friend borrow these and see if she liked them any better. Within a few weeks, she returned them, and said that she didn’t use them, simply because she always puts leftover food in a container that already has a lid. Since her stash of covered containers was abundant, she wasn’t a good test case! A few other friends I offered the lids to felt the same way – that they usually used containers with lids and would never use them – so I couldn’t use them as guinea pigs either! I did finally find a friend who claimed that she used saran wrap on EVERYTHING and would probably make good use of the lids. I checked in with her after she had them a week, and she said they were good and that she and her husband were using them. So, now we’re three houses in, and all three houses have passed them on! While these are a great concept, they just don’t seem to work in reality. I have stumbled across other re-useable products that are economically and environmentally friendly that offer more flexibility in how they cover a bowl. They can be used on any shaped container actually. Other consultants have expressed how they like that these lids are oven safe up to 400 degrees, which is a very handy feature, especially for leftovers. They can also be used in the microwave (you just have to make sure you leave a little opening for steam to escape). Deja and I tested them out to see if they’d be a good ‘go-to’ for covering dishes in the microwave. We found that it was challenging to both leave a steam vent and prevent them from falling into the food (just messy). Unfortunately, unlike most Norwex products, I did not fall in love with the Silicone Lids. They just didn’t seem to work in my kitchen. I rate the round Silicone lids only 2 stars out of 5. I have yet to try out to rectangular dishes, but I have a feeling I will find that they just don’t stay on containers in the refrigerator. I have tried out the Cup Silicone Lids. And I am liking them much better than the bowl covers. These are small enough for very small bowls and work well on them. Even better if it’s just covering something that doesn’t need to go in the fridge. The idea behind the Cup Silicone Lids is that they cover your hot or cold drinks and keep them hot or cold longer. And you know what – they do! Fellow Consultant Crystal Moore is a HUGE tea drinker, and she liked that after making a cup of tea, she was able to stick a lid on it, go vacuum the living room, and come back to her tea and it was still hot enough (She don’t DO lukewarm tea :o)! Her kids, of course, thought these were so cool. They had a blast testing out their suction ability! Another secret use for these, other than entertaining your children, is to use them as a drain cover in a pinch. They suction onto the sink and stop the water from draining! The cup silicone lids are not so bad, so they receive a rating of 3 out of 5. Their rating is kept low because it’s not a product that gets used very frequently. How about your experiences? Do you love them or hate them? Use This, NOT That! 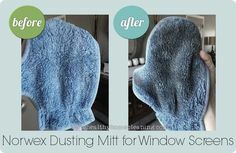 Norwex Oven Cleaner vs. Chemical Oven Cleaner Norwex Double Sided Mop Review Norwex Bottle Brush and Extensions: A Review How To Save $$$ on Cleaning Supplies Did You Know That Norwex Sells… Deodorant? Great review. I usually use snapware containers to store leftovers, but when I have too many of them in use, I do use the silicone lids on the bowls rather than plastic wrap. I like them just fine, but I don’t stack a lot of things. I had a wonderful customer discover that if you turn the silicone lids upside down, they keep your food covered in the microwave, but it still vents! This is genius! Thanks so much for sharing!